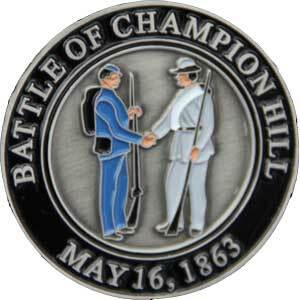 On Saturday, May 18, 2013, during the opening ceremonies commemorating the 150th Anniversary of the Battle of Champion Hill, commemorative medallions will be awarded to the descendants of those who fought. To receive honorary medallion, the family member(s) must be present. Rebecca Drake and Sid Champion V, the great-great grandson of Sid and Matilda Champion, will present the medals. The medallions will also be sold to the public with all proceeds going to further interpret the Champion Hill battlefield. The featured speaker for the 150th Anniversary event will be Bertram Hayes-Davis, great-great grandson of Jefferson Davis. Bertram now serves as the new executive director of historic Beauvoir in Biloxi. Beauvoir was the final home of Jefferson Davis, the president of the Confederacy. Since Hurricane Katrina, there has been a great outpouring of support to help restore and rebuild the damaged historic home. The gates to the Champion Hill church, once the site of the home of the Champion Family and Grant’s headquarters, will open at 7:30 AM. Admission is free but donations are encouraged. There will be music on the grounds, book and souvenir sales by the Eastern National Bookstore (Vicksburg Military Park), Bertha Lewis’ mannequin exhibit, Jerry McWilliams’ art exhibits and other varied activities. The main event will begin at 10:00 AM with the Posting of the Colors. Over one-hundred re-enactors are expected to be a part of the event. Following the morning ceremony and the awarding of medals, a picnic-style lunch will be served by the Champion Hill MB Church. Plates will sell for $10.00 and all proceeds donated to the church. After lunch there will be stroll to the Hill of Death where a small reenactment will take place. A bus and golf carts will be available to assist those who need help getting to the Hill of Death. If you have an ancestor who fought at Champion Hill and plan to be present on May 18th to receive a medallion, please let the foundation know in advance. Each soldier to be honored requires research that must be validated. 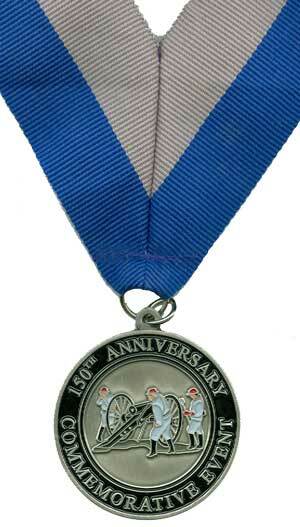 Registration to receive an honorary medallion at the main ceremony is closed. Late requests are still being accepted and will be awarded at 5:00 p.m. ceremony on the Champion Hill M.B. Church grounds. Please e-mail your requests to webmaster@battleofchampionhill.org. Copyright (c) James and Rebecca Drake, 2013. All Rights Reserved.